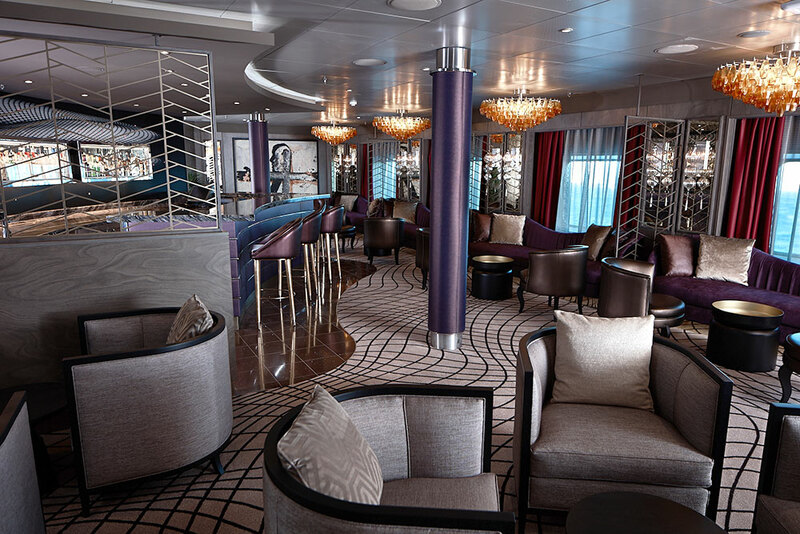 As part of the line’s substantial $125 million fleet refurbishment program, Regent Seven Seas Cruises has most recently enhanced its Seven Seas Voyager during a 25-day remodel. 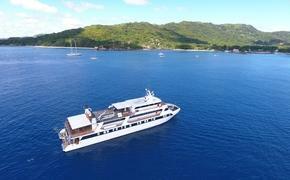 The decor has been refreshed from bow to stern, making her now more closely resemble the luxury line’s latest Seven Seas Explorer, and a series of five new production shows have made their way onboard in the Constellation Theater. Included among the improvements are Penthouse, Concierge and Deluxe Suites, which now sport a contemporary design to emphasize the accommodations’ spaciousness. Meanwhile for relaxing in the public venues, the Voyager Lounge (pictured below), presenting live music in the evenings, has been updated to appear as a modern French cabaret featuring champagne-colored chandeliers crowning geometric patterns and royal hues applied to furnishings below. Similarly, the Reception Area, Coffee Connection, Connoisseur Lounge, Card Room, boutiques, casino and Canyon Ranch SpaClub have all been enhanced. Of course, the largest list of upgrades are dining related, from the main dining room to the grill. The primary Compass Rose (pictured in the header above) has received not only a new customizable menu but a revised design with fresh crystal chandeliers, wooden flourishes and blue furnishings. 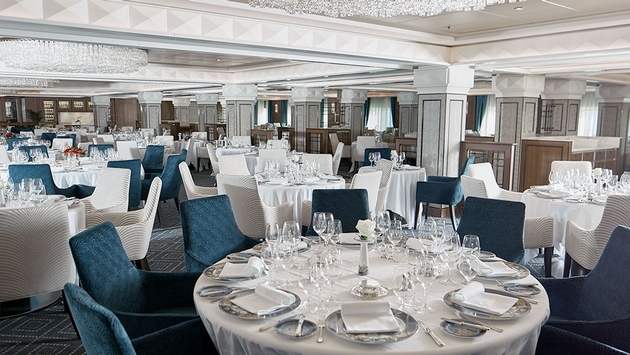 Making its way over from the new Seven Seas Explorer is the Chartreuse specialty restaurant complete with a comparable design, as well as new furnishings, china and flooring. Additionally, La Veranda buffet has been reconfigured to be open to both sides of the venue with a new cook-to-order station, and the decor now displays grey flooring and wall accents for a more airy aesthetic. Also, the Pool Grill has been enhanced with an infrared barbecue cooktop for preparing steaks, chops, lamb and salmon al fresco. Lastly, the five new shows to be hosted at the Constellation Theater are “Tuxedo” and its tributes to the Rat Pack, Tony Bennett, Natalie Cole, Michael Buble, Christina Aguilera, Brian Setzer and Harry Connick Jr.; “Lights, Camera, Music!” highlighting Hollywood musicals; “Broadway in Concert” featuring numbers from “Guys and Dolls,” “Annie Get Your Gun,” “Cabaret,” “Les Miserable” and more; “Vegas The Show” showcasing the likes of Elvis, Sonny and Cher and Tina Turner; and “Dancin’ Fool” with jive, salsa, quick step, disco and Broadway-style Fosse.